Mr. Flock is an experienced business executive with a background in financial, strategic, and operational management. He has over 23 years business management and investment experience, primarily in the financial services industry. In his role as Chief Operating Officer he leads the finance department, the technology group, human resources, client experience, and our corporate evaluation team. Prior to joining Generational Equity, Mr. Flock served as a Partner and Managing Director of LCM Global Partners, a SEC-registered investment advisor focused on alternative assets. As an asset management professional, Mr. Flock has focused on the investment management functions of hedge funds, private equity funds, and traditional investment portfolios, as well as all aspects of marketing and business development. He is entrepreneurial and has successfully founded and capitalized two businesses, including Cassia Capital Partners, a Registered Investment Advisor focused on managed ETF portfolios, and a product distribution company. 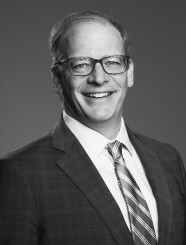 Prior to his experience within the asset management space, Mr. Flock was a Director in portfolio management at the nation’s largest Real Estate Investment Trust, Equity Office Properties (EOP), before its acquisition by Blackstone Partners in 2007. Prior to his time at EOP, Mr. Flock was a Consultant with Bain & Company, where he advised clients on areas of strategic growth and operational improvement. Mr. Flock received his B.S. in engineering at the University of Nebraska and his MBA from Harvard Business School.